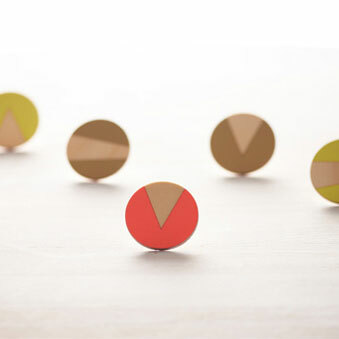 We love Polli's new collection of 'Flag' brooches, rings, necklaces and cufflinks. This design features the Stripe motif in gold paint/natural finish. 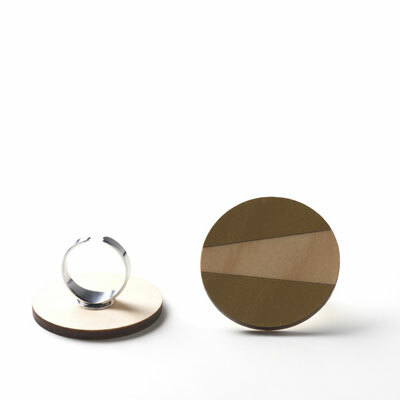 This adjustable ring is part of Polli's abstract Flag Series and is painted with a gloss gold paint. Made from plantation hoop pine ply. Dimensions: 40mm diameter. Designed and made in Australia.